It's been a long ol' time since I've done a life update post and I felt like we needed to have a catch up. So many amazing 'blog things' have been happening recently and I NEED to talk to you about them! I guess I'm also going to use this post as an excuse to talk to you about some of the other things on my mind too! There isn't going to be a specific order to this post, I've just written a list of about 5 things that I want talk to you about so let's just jump right in! First of all, if you haven't already noticed, we recently collaborated with Irresistible Me to review their hair iron. If you haven't already read the post then click here and be sure to do so. In short, it did a really good job of straightening my hair and definitely made my hair look more glossy and shiny. As with anything though, there were a couple of flaws which I have mentioned in the post. It's been awesome being able to work with a brand and we actually have another collaboration planned soon which we are SUPER excited about! Also, thank you so much for 350 followers! I know I say this a lot, but you (yes, you reading this right now) make writing these posts and working on the blog worthwhile! Thank you so much for supporting us and our little space on the internet, it's such a lovely community that we all get to be a part of. If you're a blogger than you should totally go and follow @GRLPOWRCHAT on twitter. They hold frequent twitter chats for bloggers to socialise and get to know each other, it's really great! I started following quite recently and I've already found so many new amazing bloggers. Anyway, moving on from the blog related stuff, I have a couple of general life things that I also wanted to talk to you about. Firstly it's my 16th birthday soon (28th September) and to be completely honest, I'm terrified. I have a real big fear of growing up and I don't know why. It just scares me that once I turn 16, it's only 2 years till I turn 18 and I am most definitely NOT ready to be called an 'adult'. My summer holidays are also over now and I started school again a few weeks ago. It's my last year of high school so I've got my GCSEs which I know will be stressful, but I'm going to try and start doing bits of revision now so I can maybe feel a bit more prepared when I have to start doing more intense revision. Let me know down below if you're doing your GCSEs this year. 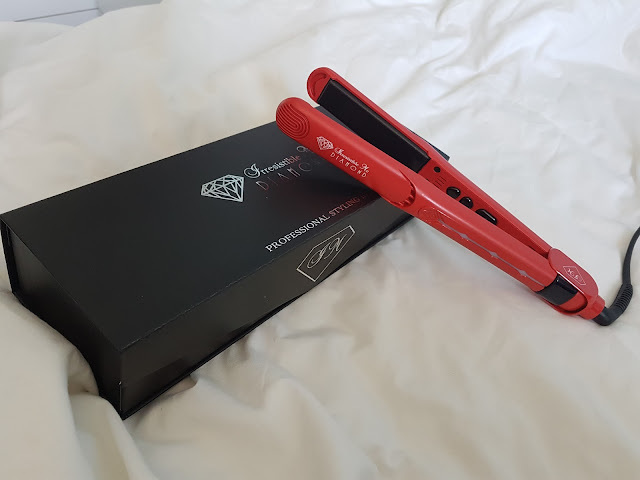 Disclaimer: Irresistible Me kindly sent us the straightener that has been featured in this post, however as always, all opinions are our own. Do you have a fear of growing up?